I vividly remember the first time I heard a presentation about Beyond Borders. It was a presentation about exhumations in Starr County, and I was engrossed by the idea of exhumation for a greater cause. 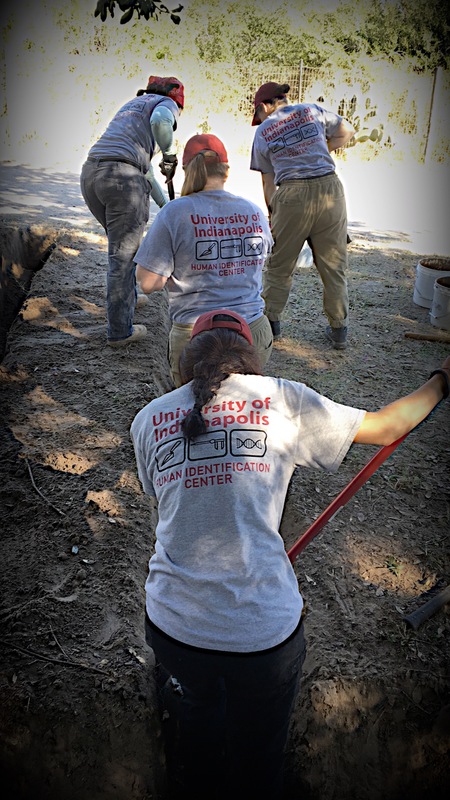 One of the most captivating aspects of the University of Indianapolis’ program was their involvement with humanitarian applications of anthropology, something I had been longing to become involved with for many years. 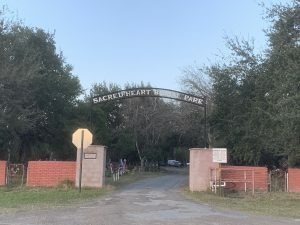 I heard stories about Falfurrias, TX and Sacred Heart Cemetery, and it soon became an intriguing place I was longing to go to. 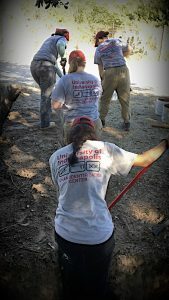 different county, so our experience was vastly different than the teams’ who helped in Brooks and Starr Counties before us. We gained an incredible perspective on the legal system’s complications regarding migrant deaths and what happens when counties are overwhelmed by this crisis. 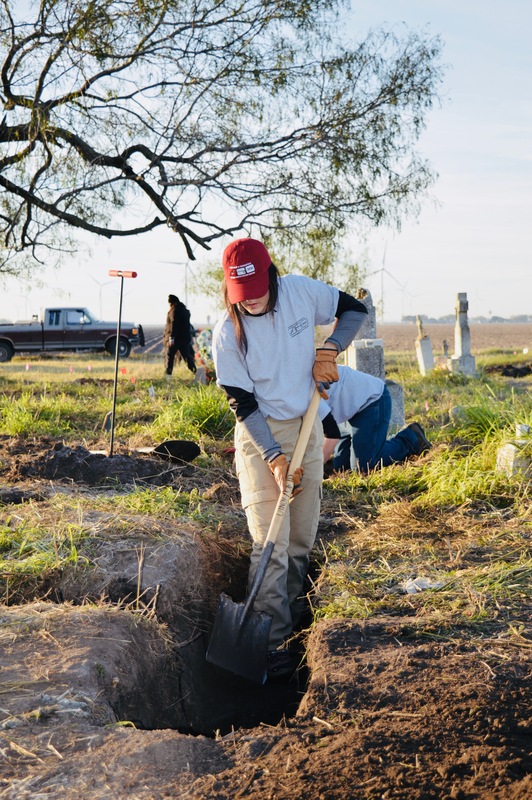 However, we were not immersed in the community in the way that previous seasons had been because this particular cemetery was on private land. Eight months later, I presented on our experience. I gained so many skills that I could never have learned from a textbook or classroom, yet I was still completely blind to the magnitude of impact that this project would eventually have on my heart. This January, a new team accompanied Dr. Latham to Falfurrias: the place where her work had initially started. So many of the townspeople were supportive of our work. One woman brought us oranges from her brother’s tree. Another brought an entire lunch for almost forty of us while we labored in the field one day. The county judge brought us hot pizza. Peggy and Bill Clark hosted all of us at their household for a home-cooked meal. These were incredibly thoughtful yet completely unnecessary acts of kindness. They spent their time and resources to do something nice for numerous people they had never met. I will never feel as though I fully expressed my gratitude. 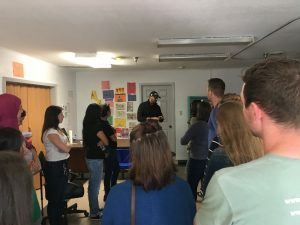 The Humanitarian Respite Center was kind enough to give a small tour of the facility. Visiting the Humanitarian Respite Center was one of the most powerful parts of this trip. It was so personal and emotional to interact with migrants face-to-face. It was one small community of people who had just barely met each other (migrants, volunteers, full-time staff) and were all contributing to the success of the center. Later in the week when we searched for remains on a local ranch, we saw what it was like to walk the paths that these people had to take in order to get here. The images of families from the Respite Center were engraved in my memory as I stumbled across bones, clothing, identification cards, cell phones, and shoes that once belonged to someone. Whoever it was made it all the way to that point before their body gave in to the hardships of nature. I hope that none of my loved ones will ever go through something so horrifying. Border policy is a complex topic. I cannot pretend that I know all the right answers for this country. It just doesn’t seem right that we should all be so removed and immune to the pain of others. If every person had the opportunity to spend time with the living migrants and the brave individuals and organizations who live with minimal pay as they fight for migrant lives on a daily basis, then perhaps we could discuss these matters with a different tone of voice. If other people truly witnessed the way the deceased are treated when they are not from this side of the border, I am sure it would leave an emotional impact that they could not get from a newspaper or broadcast. So many people never get to know these people at all, yet hold an opinion as to what kind of people they are. I am truly grateful to have had the chance to return to Texas with Beyond Borders. It has changed me in ways that I never expected, and I appreciate all of the dedication and work that makes this project possible. I hope to see you again soon, Texas. Best wishes while I’m away.